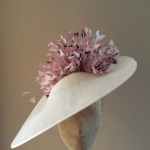 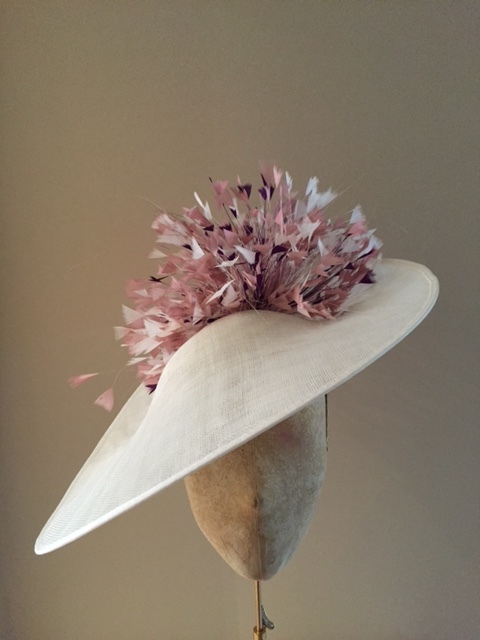 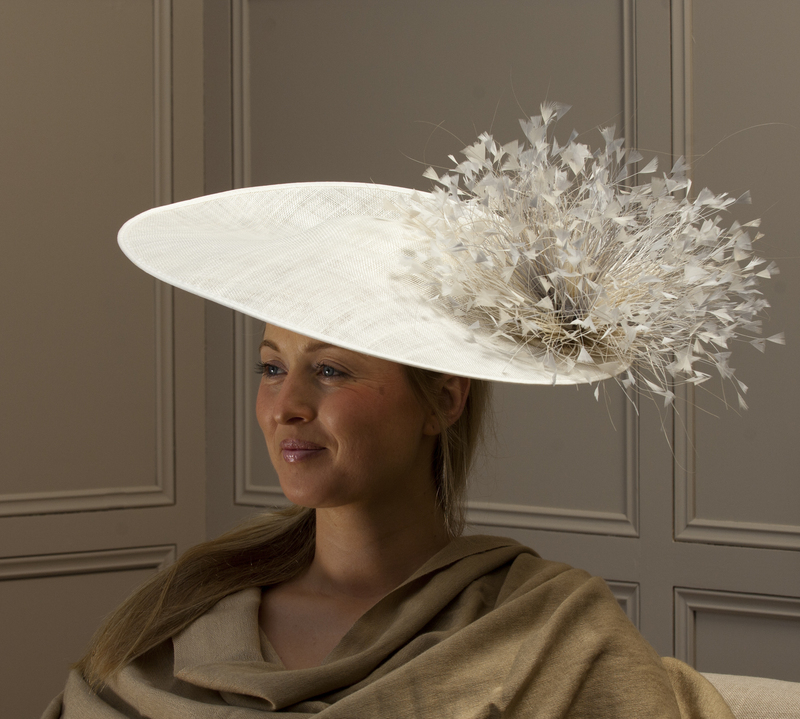 18″ sinamay dish hat with slight upturn to the back and cut feathers. 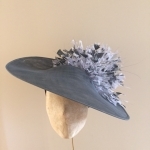 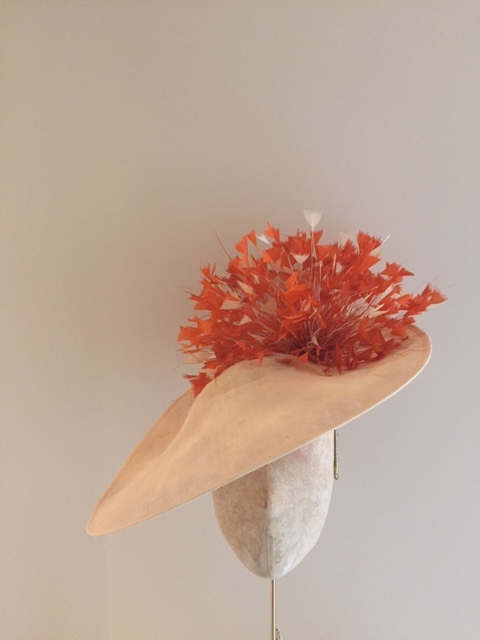 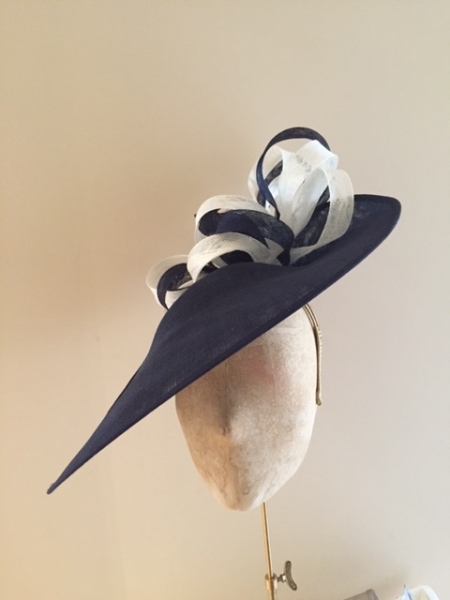 The dramatic Wiltshire 18″ dish hat comprises a sinamay dish with a slight upturn at the back and trimmed with cut coque feathers in 2-3 colours. 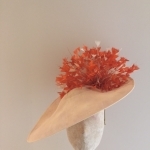 This fits to the head on a band which can be covered in a ribbon colour to blend with your hair colour. 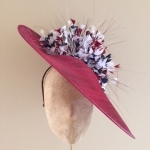 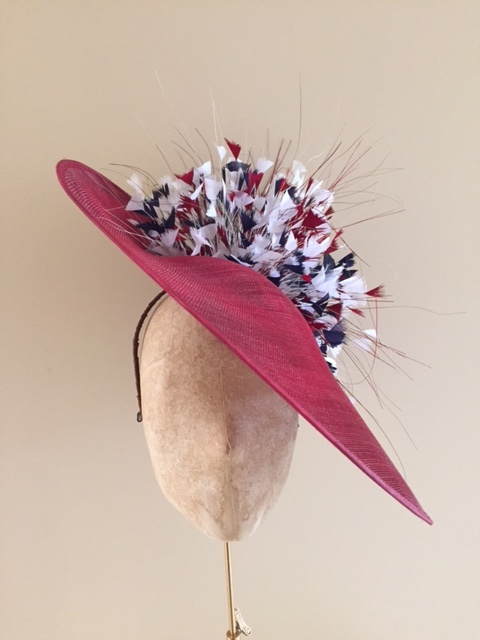 A striking design for any race meet or wedding.